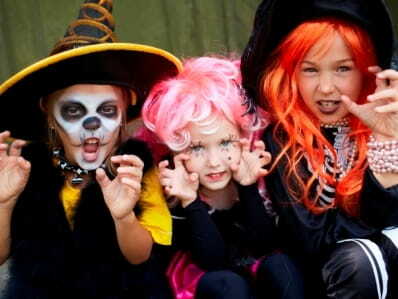 Children are more than twice as likely to be hit and killed by a car on Halloween than on any other day of the year. Decorate costumes with reflective tape or stickers. Carry glow sticks or flashlights. Encourage use of face paint instead of masks that obstruct the child’s vision. Prevent falls by making sure costumes fit properly. 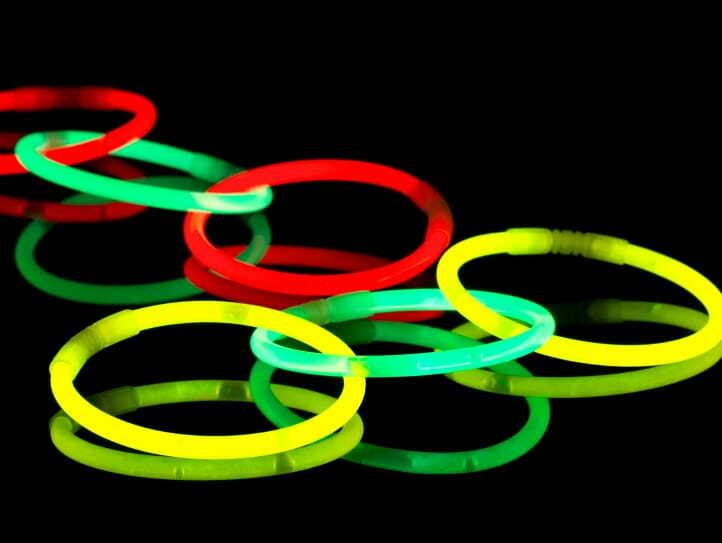 Remind children not to chew on glow sticks. They contain an oily liquid (dibutyl phthalate). It’s a mild irritant. If it gets on the skin or in the mouth, rinse it off immediately. 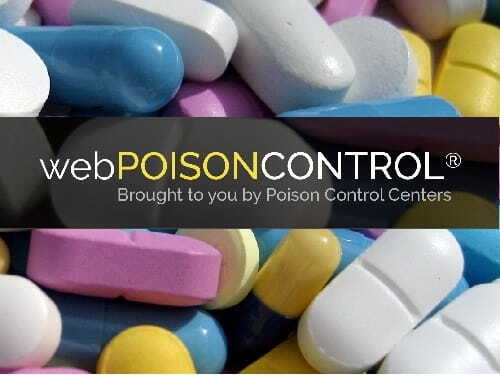 Call poison control if anything more than mild skin or mouth irritation develops. Broken glow or light stick splashed in the eye? Test makeup on a small area of skin (the arm) to check for sensitivity before applying it to the face. Avoid applying it around the eyes. Remove makeup before bedtime. Only eat treats your child receives in their original, unopened wrappers. Discard homemade treats made by strangers. Inspect treats for choking hazards and tampering before eating them. Use dry ice safely. Wear gloves to prevent frostbite when handling dry ice. Don’t place dry ice directly in a drink. It can burn the throat and mouth if consumed. Store it in an insulated container, not the freezer. Don’t store dry ice in an unventilated room. Don’t close your car windows when transporting dry ice. Dry ice is frozen carbon dioxide which can replace the oxygen you need to breathe in. Keep the area ventilated.